National disability charity, United Response, is starting its 40th celebrations early, with the launch of a new logo and strapline. The charity, which turns 40 next year, has created a new logo and strapline which it feels reflects the increasing diversity of its broad client group and which brings its brand up-to-date. Over the years, United Response has grown to support people with a wide range of needs. Starting in 1973, with one house for people with learning disabilities in West Sussex, the charity now supports people with autism; people with mental health needs; children and young people in transition; older people and people with dementia; all alongside its learning disability work. Much of the rebranding exercise was carried out in-house, by United Response’s communications team, which was set the task of creating a new logo and strapline, which reflects the charity’s diversity. The in-house team began the process by asking key stakeholder groups, including relatives of people supported by the charity, commissioners and staff, to take part in an online survey. Stakeholders were asked a series of questions, including selecting key words which they felt best described United Response’s work. ‘Support’ came back as the top answer, and this lead to the development of the strapline “support that changes with you”. With regards to the logo, the United Response wanted something that retained its identity, but which would be accessible and visually appealing. Diane Lightfoot said: “We chose our new logo because it still retains our core identity whilst being much more modern and fresh. We like the “tick” feature which implies quality and also looks celebratory – a fitting way to mark 40 years! The coloured dots are visually appealing and we hope reference our focus on diversity. 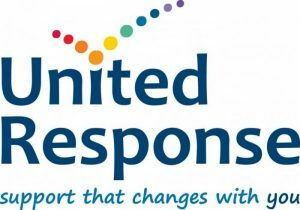 The launch of the logo and strapline mark the beginning of a host of activities planned by United Response to celebrate its 40th anniversary. Did the Paralympics affect public perceptions of disability? Be the first to comment on "Life begins at 40"